The Nexus 9 was removed from the Google Store yesterday, which isn't really a surprise; it was old. The Moto 360 Sport, not so much. That hasn't stopped Google from ending sales of the wearable after just a few months. Womp womp. The Moto 360 Sport only launched in the US in January, and came to the Google Store shortly thereafter. 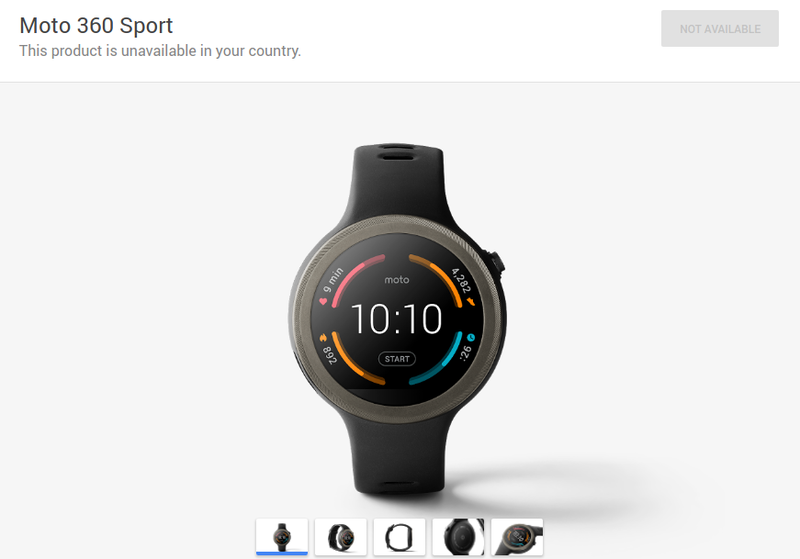 The listing in the Google Store now says the watch is "unavailable in your country." The Google support page also no longer lists the Sport, whereas before it showed as available in the US and Canada. Amusingly, Google temporarily broke the listing when prepping for the removal—the 360 Sport briefly rang up as a $40 case. It's odd Google wouldn't just start discounting the 360 Sport, as it has with several other devices recently. Motorola still offers the 360 Sport, and it's on Amazon too (hugely marked down). This probably means sales are not great. Considering the original $300 price, I'm not shocked.